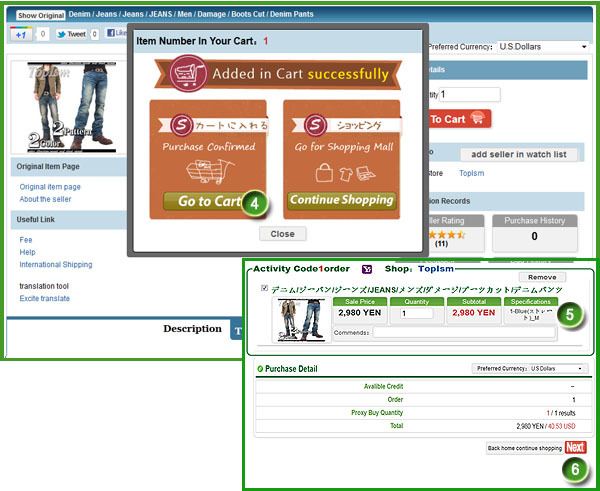 Mogan Shopping integrates the most famous Japanese shopping sites, all on one convenient platform. Our selected malls are Rakuten and Yahoo Shopping. If you did not find your desired item, you can visit our mall directory by clicking the 'Other' tab and using our 'buy for me' request form. Please be careful when reading each item page before you buy to understand all applicable conditions. Below are some tips to help you buy smartly, securely and conveniently. Select your preferred shopping mall, located above the search engine. Click the translation button to learn more about the item. Some items such as shoes, clothing offer customization on size and color. 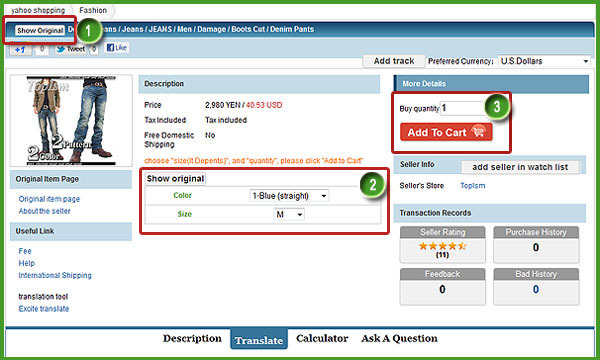 Enter item quantity and click the 'Add to Cart' and continue or review your cart. Purchasing orders will be held Monday to Friday from 1:00 pm to 9:00 pm, unify purchasing orders , if the merchandise is limited quantity or has to be ordered instantly please call and inform the company's services commissioner. Once you have finished adding items to your Shopping Cart. Review your shopping details such as quantity, size, item name, etc. by clicking on your shopping cart. Check your ordered items in your shopping cart. If all the details are correct. Confirm your order and proceed to checkout or continue shopping. Once purchase is complete no withdrawal can be accepted. All items are evaluated in Japanese Yen. 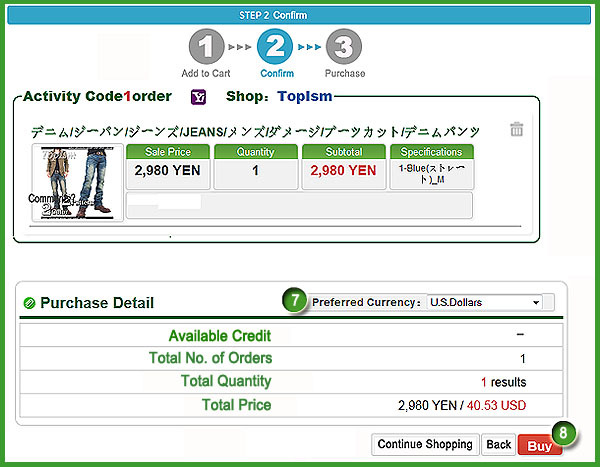 You can convert your purchase details into your preferred currency using the selection menu on the top right. Click the Buy button to complete the purchase. Once you have reached this stage, you have successfully purchased your item, depending upon your account balance. Mogan Shopping will handle the rest of your order for you. You will receive progress updates to your email, your Mogan account Inbox and within your Mogan Account. Your item will be sent to the specified address you entered into your Mogan Shopping account. We sincerely hope your shopping experience is enjoyable and comfortable and welcome any feedback, comments, opinions, suggestions and recommendations from you to continually improve your shopping experience through us. You think this page helpful?